A common question that I'm asked as an estate planning attorney is how to obtain a copy of a deceased person's last will and testament or other probate court filings. Since probate records are public court records that anyone can read, if a will has been filed for probate then you should be able to obtain a copy of it. With modern technology comes the ability to locate information about a deceased person's estate online, and in most cases for absolutely free. While you may not be able to view copies of the actual will and other documents that have been filed with the probate court for free, at the least you will be able to see a list of the documents that have been filed, who has been named as the executor of the estate, which attorney the executor has hired, and the name of the judge presiding over the case. 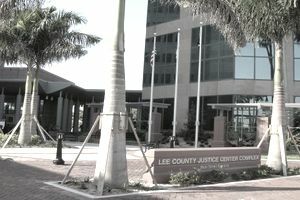 If the estate you are interested in is being probated in the Lee County Circuit Court located in Fort Myers, Florida, then follow the links and instructions provided below to view the Lee County probate court dockets online. Other cities located in Lee County include Alva, Boca Grande, Bokeelia, Bonita Springs, Captiva, Cape Coral, Estero, Fort Myers Beach, Lehigh Acres, Matlacha, North Fort Myers, Pineland, Sanibel, St. James City, and Tice. Click on the following link to the Lee County, Florida Circuit Court probate court docket web site - Court Case Inquiry. Read the information and then click on I ACCEPT AND UNDERSTAND THIS DISCLAIMER. Click on Court Records Public Search. Click on Civil, Family & Probate Case Records. On the drop-down menu, click on search by "Party." Enter the deceased person's first name and last name in the boxes provided and then click on "Search." Once you locate the link to your probate case number, click on it and you will see the following: lead attorney(s); a docket showing the list of all documents filed and the date of filing; the personal representative and beneficiaries; and court financial transactions. Once you locate the documents you want to have copied, you can click on the link to the Probate Division and visit the office in person or give them a call to determine the procedure for obtaining the copies and the costs involved. If you follow the instructions above but nothing happens, either the website is being updated, in which case try back at another time, or your internet browser does not like this interface at the top of the page, in which case once you land on the Court Case Inquiry page, at the top of the page click on the words "Turn off this Top Frame" and then follow the remaining instructions.